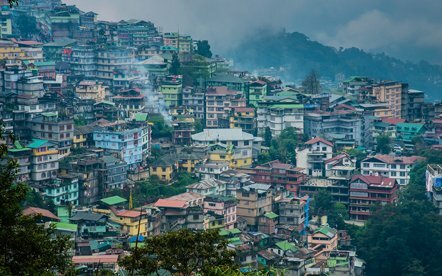 Think about a capital of a state and the logical conclusion is a hustle bustle unequal to the others, but not in Gangtok Hill Station. 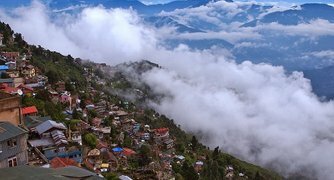 When surrounded profoundly with the noise, crowd and tropical heat synonymous to Indian subcontinent, everyone is most welcome in Gangtok- a place where life moves with its own leisurely pace despite being the capital of Sikkim. Either find solace in watching the clouds taking the shape you wish to see or feel enlightened at the various Buddhist prayer sites that drawn your attention or just experience the silence on the roads irrespective of the mild crowd of people trying to make it to their destinations. At times, tourists find themselves lost in reverie in cable car on rope-way or while trekking on scenic trails but feeling of being taken care of never leaves. All the while, there would be a feeling of overwhelm not exactly to be categorized, because the more one looks around at 5800 ft altitude the deeper meanings and connections are found. 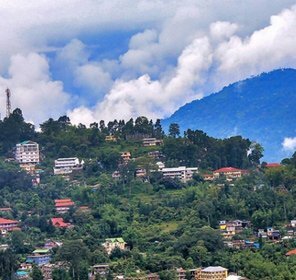 Being the capital of 22nd state of India comes with responsibility and a fair amount of limelight, most of which is duly taken care by the place and the administration since Sikkim merged itself in the Republic of India in 1975. 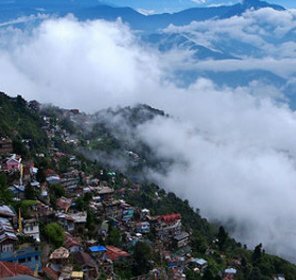 Even when it was not a state but independent country, Sikkim has Gangtok as its capital since 1894 with the decision of King Thutob Namgyal. The economics of the place has been affected by the war closing routes to Tibet but that has been changed up to great extent by the emerging hospitality and tourism industry. And not without reasons, tourists continue to be beguiled by Gangtok tourism and the opportunities of tryst with Nature it amply proffers being situated in lesser Himalayas accompanied by flirting River Teesta. Also referred to as Dro-Dul, the stupa was built by Trulshik Rinpoche in the year 1945. Being the head of Nyingmapa Order, he is worshipped at different places where Buddhism as a religion prevails. Unique in the way of being located inside a palace, this monastery is of 2 storey housing ancient Buddhist scriptures of immense value. Royal functions used to be a part of it, now replaced by Phang Labsol, the Loosang and New Year festivals. A public garden which has 1922 as its establishment year, it holds many trees having fruits and of medicinal qualities main of which is Ipecac due to which it came to be known as Garden. International Floriculture is another attraction of it. Ruins might not be much of interest for many but they still attracts those who wish to see the past times in whatever has survived from its grasp. This place tells about a palace present here that belonged to Sikkim Royal Kingdom destroyed by the Nepalese invasion. Typical example of British architecture, it came into existence in the year 1932. The name doesn't indicate the color it is painted with but the fact that it was built in the memory of British Officer Claude White. The temple is located at around 1900 m altitude and might find itself among the highest Ganesh temples. 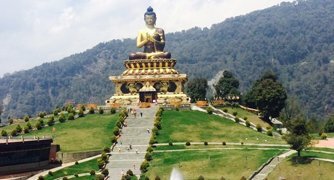 Small, beautiful and attractive, tourists turned devotees can have a great time couples with Himalayan Zoological park located some distance. Making for a great family outing, the falls are named after a tribe known for healing people. Statues inside depicts how the members of the tribe worked for the healing process. The natural beauty as a part of the place is a great way to begin clicking photos. The 300 ft waterfall generally poses for great clicks but also challenges few of the daring people in the lot of tourists to have a dip in its chilled waters. Anyways, experience is exhilarating. Those, who have visited Rumtek Monastery know that this garden is just a short distance away from here. Different varieties of Orchids, tropical and temperate plants and trees are present to be studied and admired. Kids can revel in a area provided only for them to play. Having come to Gangtok means that a tourist is planning to explore the places around it as well and this park at some 145 Km away presents the perfect opportunity. Enjoy trekking to make the best of the place. Developed some 16 Km away, the place is home to different species of deer like Black Buck, rare red panda, birds, etc. Also referred to as Rustomji Deer Park, it was established in 1964 and since then a nice destination to tour. 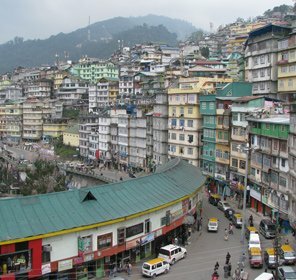 In Gangtok, a comfortable stay is possible anywhere travelers wish to lodge. The serenity of the hill station coupled with the beauty of the Nature and the simplicity of the lives make accommodations inviting. 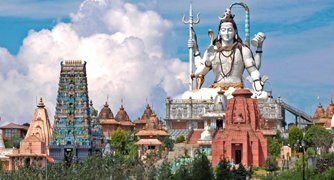 The services offered are as per the budget one would have set aside on such a trip, which includes touring, lodging and eating. 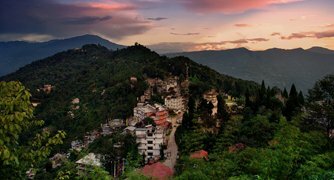 So, if one has not actually made any plan as to how go about making the most of the time in Gangtok by picking up places that easily fit the time limit tourist has come with the help of guide hotel manager makes available. 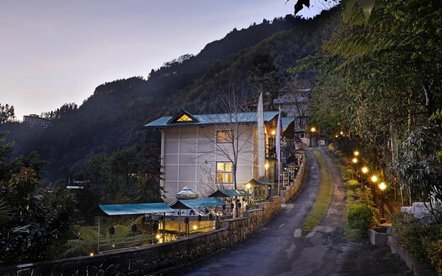 Some of the prominent hotels in Gangtok are Sagorika, Mayfair, Sai Kripa, Keepsa Residency, Anola, Comfort Inn, Denzong Inn, Sonam Delek, Himalayan Retreat, Bamboo Grove and many more. Rainy seasons are generally avoided for the inconvenience they can cause being on mountain. 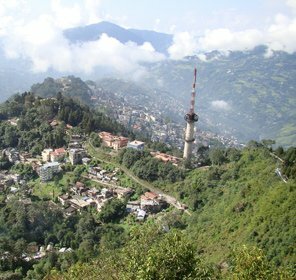 Rest of the months are well suited to make a trip to Gangtok, for tourists in all the age brackets. Airport in Bagdogra of W. Bengal is the fastest way to reach Gangtok when united with helicopter service or with the road journey to cover rest of the 124 Km. Jalpaiguri at only 114 Km from Gangtok acts a major rail head serving the other hill stations in the region as well. Regular bus services or car / taxi hiring can help to cover what is left of the journey to Gangtok. 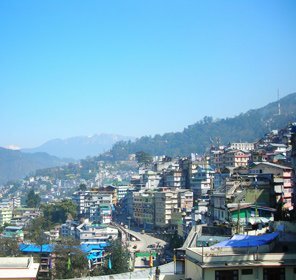 Cars and Taxis can make the journey look go longer, but if the urge is strong various buses could be changed on different national highways to reach Gangtok. Cars and taxis can do the same job, if are a preferred mode of travel. Jalpaiguri remains the connecting place.